A brand new name on the scene, Milton Keynes-based Aurousal caused quite a stir with its debut at the Heathrow hi-fi show in March, seducing many visitors by effectively demonstrating the strengths and virtues of the single full-range driver approach in a relatively inexpensive system context. Simplicity is, of course, one of the keynotes of the A1. It has just a single driver, albeit of a rather special kind, a single terminal pair, no crossover and, of course, an enclosure to ensure that the sound radiation from the front of the cone is kept separate from the out-of-phase sound originating from the back of the cone. There's also a port, which is energised by some of that rearward output in order to reinforce the bass region. Despite the modest price, the enclosure is finished in a real wood veneer. True, it's not the classiest or most attractive example of the type, and doesn't have much in the way of figuring, but at least it's the real thing. The core component is, of course, the solitary drive unit, which is one of Ted Jordan's small but legendary metal diaphragm affairs. It has a cast frame affair with a 90mm diameter 'double cone' diaphragm, with the main cone being concave and the small central dust-dome section convex. Interestingly, the same driver was used in an unusual transmission line from MJ Acoustics. 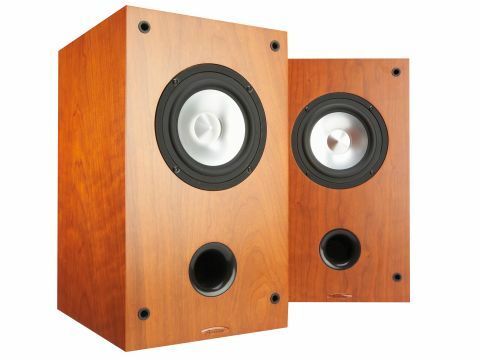 Crucially, that speaker cost £2,000 per pair, more than four times the cost of this Aurousal with its much simpler front-ported enclosure. There's only one driver, and no crossover, so naturally there's just a single terminal pair. Given the rather wayward frequency response, it's inevitable that the sound of the A1 is far from any ideal of neutrality. That elevated midband inevitably leads to quite substantial coloration, which is particularly obvious when reproducing speech. The effect is slightly megaphonic, almost as though the speech was being reproduced through cupped hands, adding a slightly 'shouty' quality to proceedings. If that's the bad news, then it's surprising just how quickly the ear/brain adjusts to, and compensates for, this coloration. It's a bit like the way we easily (and indeed instantly) adjust to the change in a familiar family member's voice when we hear them in the lounge, the bathroom, or even outdoors. One of the best things about the A1 is its brilliant coherence and freedom from time-smear, which for some listeners will be more than fair compensation. In this group at least, the Aurousal's superior communication skills are especially effective in the way it gets the emotions across. It might sound coloured, but it also sounds more 'real'. The A1's broad bass region is decidedly lean here, and one could try boosting it by siting it close to a wall. However, under our conditions the extra weight was accompanied by less overall evenness. Free-space siting was preferred, in part because the restraint in the bass balances out similar restraint at the top end of the audio band. There's certainly some lack of air and sparkle with this speaker, so it's best to orient them so that one sits directly on the main axis. This will provide maximum treble and also the best stereo focus.